Momus and Kero Kero Bonito perform live on Hello GoodBye on Saturday 1st March 2014 Resonance FM. 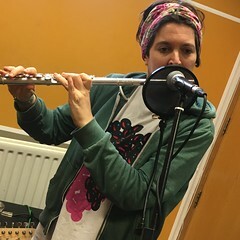 This entry was posted in dexter bentley, hello goodbye show, Live Radio on Film, resonance fm and tagged beth rogers, dexter bentley, hello goodbye show, kero kero bonito, live radio on film, london, momus, radio, resonance fm. Bookmark the permalink.